Majority of Pakistani women and girls await that moment when they will have ready access to opportunities for quality learning and entitlements. The challenges are more profound in rural areas. As well identified by annual surveys such as ASER in 2012, only 22 % of mothers of almost 250,000 children tested had completed primary education compared to 47% fathers. The gender gaps result in inter-generational inequality whereby for only 6 boys enrolled in schools there are only 4 girls enrolled, clearly illustrating the lack of gender parity. Behind these facts and figures lies a whole world of gender inequality covered in layers of customs, traditions and attitudes that blatantly exclude women and girls. Yet given an opportunity if the girls can complete middle grades there is no holding them back at secondary and post- secondary levels as is highlighted by the performance of girls in the annual qualifying exams for various professions. 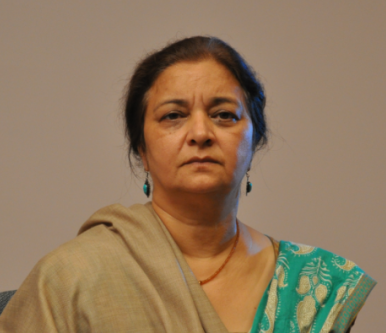 Pakistan presents contrasts with one of the highest percentage of women in parliament who have mobilized support for some positive legal activism. The challenge is the implementation of good laws. With outstanding women role models in almost all positions across government, parliamentarians, in business, publishing, media, sports, arts, sciences and social development Pakistani women and girls have demonstrated time and again that they can envision, reinvent and regenerate Pakistan as a contemporary society, provided they can cross those basic thresholds of learning. Article 25 A that guarantees education for 5-16 when implemented in letter and spirit will truly be liberation for the girls and women of Pakistan. I know we can do it and together we will!